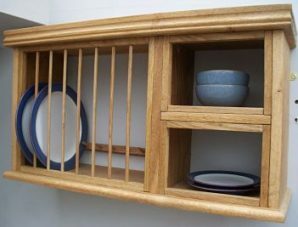 The Campden Range has a modern look fitting in well with most kitchens. 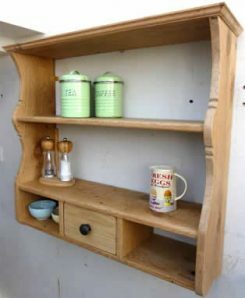 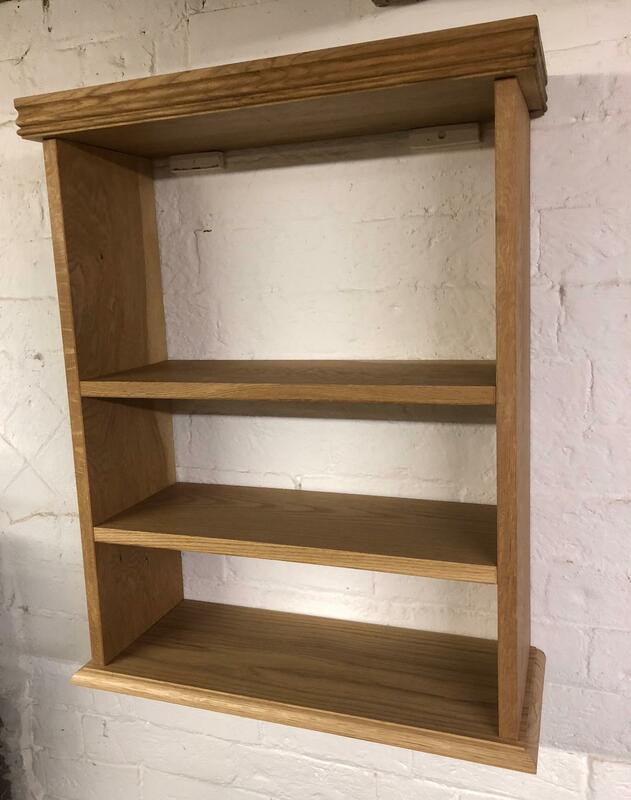 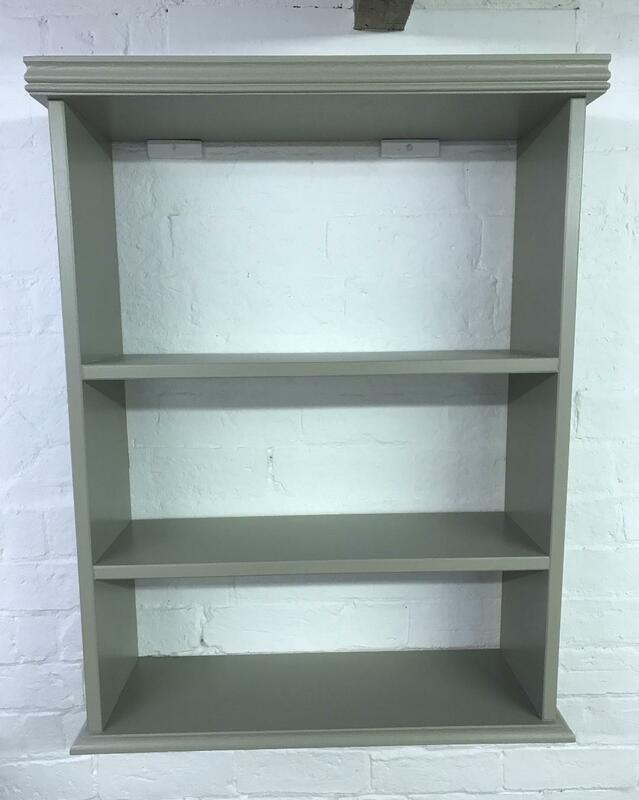 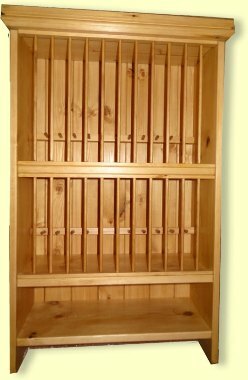 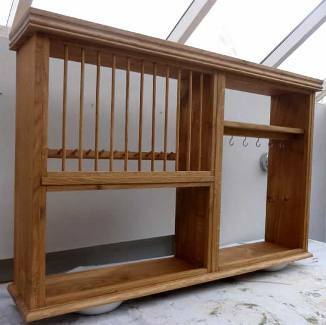 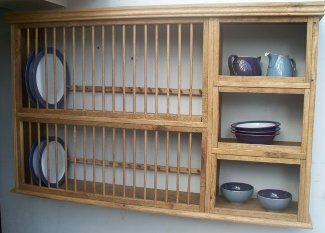 The Campden shelves (3 tier) will look especially good with any Shaker style kitchen, with their straight non fussy sides and a simple round edge finish to the bottom shelf and a clean face moulding to the top. 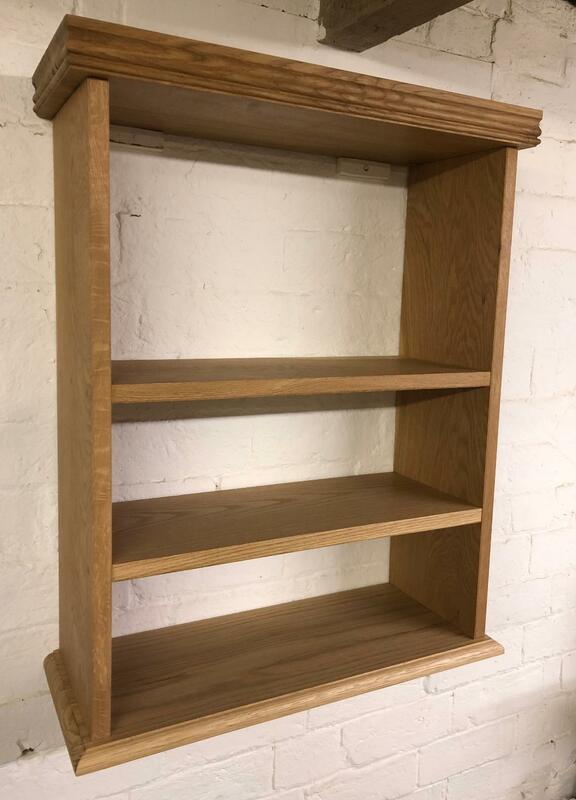 Constructed of 20mm solid oak/pine and finished with a 45mm solid top. 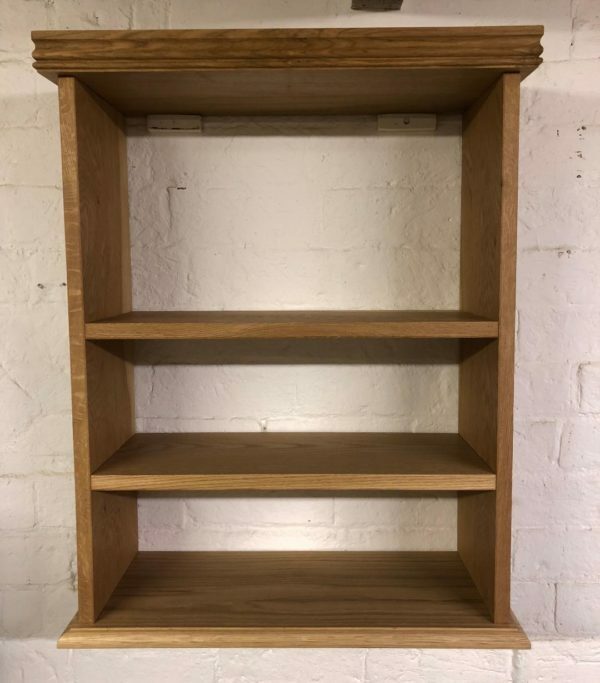 You may also like our 2 tier shelves. 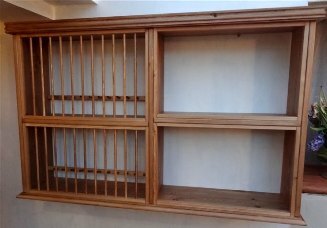 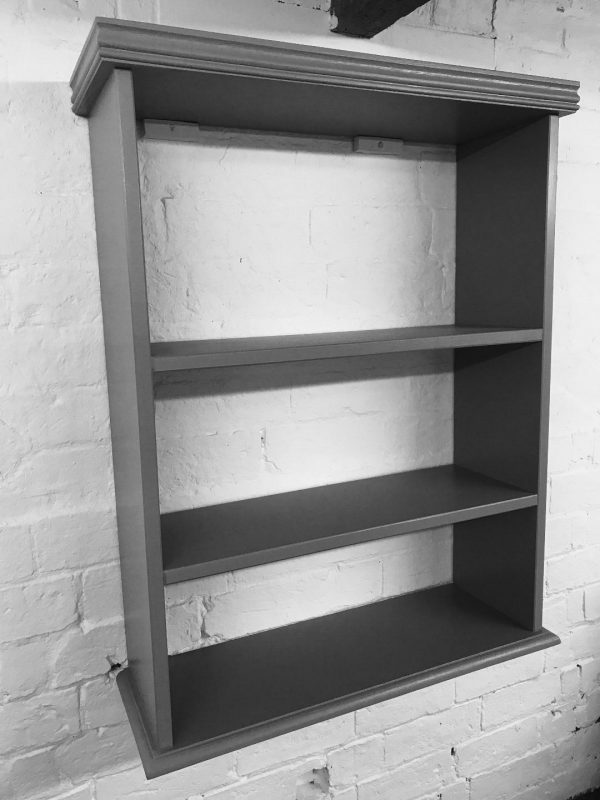 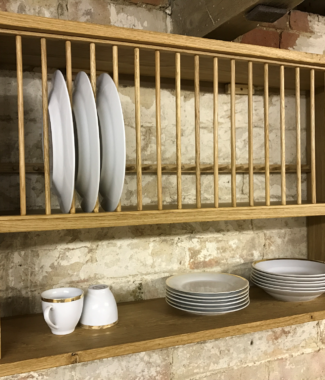 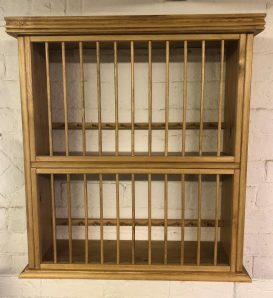 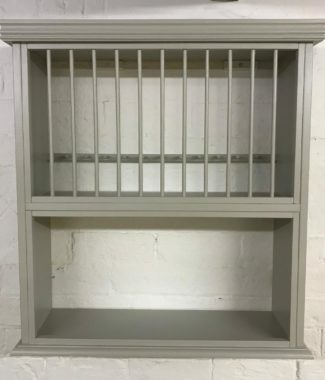 We had a small space that needed a bespoke bookshelf built and we were thrilled by the job from The Plate Rack Co. – It was custom finished to fit under the beams and the ‘Bone’ paint is just gorgeous.